The design idea for Mobile Crushing Plant is to totally meet the different requirements of mobile crushing function. This can provide a whole new operation mode that greatly decreases the operation cost. 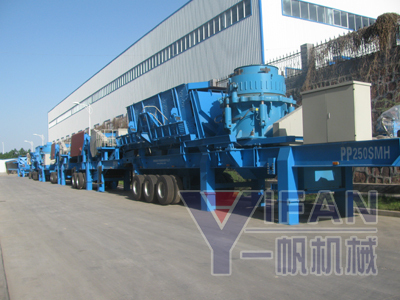 Mobile crushing plant includs PP Series Mobile Jaw Crusher, PP Series Mobile Impact Crusher,PP Series Mobile Cone Crusher,PP series Mobile VSI Crusher. Shande brand crushing and screening equipment, such as jaw crusher, impact crusher, sand maker, cone crusher, vibrating screen, is of good performance, high reliability. Mobile plants mainly use these machines. The design of all these machines have been optimized, which results in higher strength, better performance and more compact structure.